It was Tommy Herr at second base for St. Louis in three World Series during the 1980s and Wilbur Wood with four straight 20-win seasons for the White Sox. It was a pair of closers, Sparky Lyle of the Yankees and Mike Marshall of the Dodgers, winning Cy Young Awards and leading their clubs to World Series in the 1970s. It’s still Jose Molina behind the plate for someone, presently the Rays, in a long career that included an Opening Day homer off Jamie Moyer for the Angels in 2004. There’s a Hall of Famer to think about in Bert Blyleven, memories of Cesar Cedeno’s rainbow jersey, Curt Simmons and Vada Pinson, and an active star in Giants catcher Buster Posey. Narrowing the field down to one player each day here is an exercise in nostalgic fun. But the Opening Day Countdown Down Under has our man — in this case really representing a trio — now that we are 28 days away from Major League Baseball’s Opening Series on March 22 in Sydney, Australia. Flash back to the Houston Astrodome on April 9, 1990. 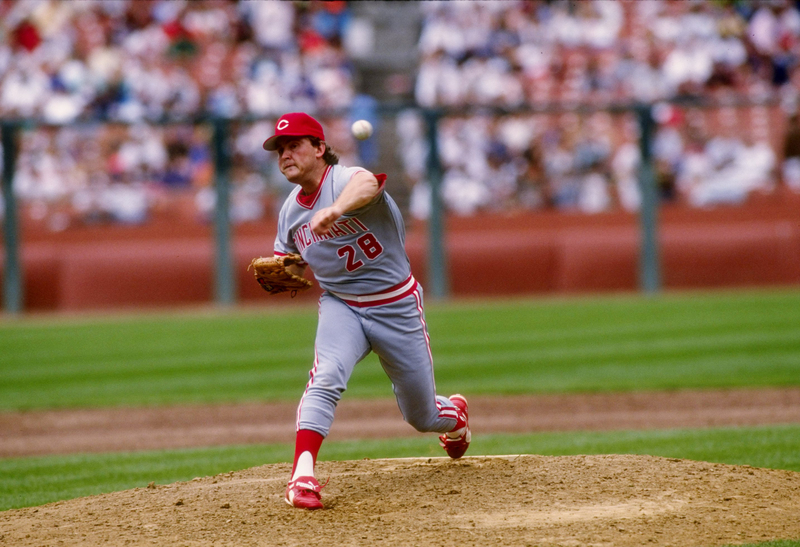 Lou Piniella’s Cincinnati Reds tied the score at 4-4 in the top of the sixth. Left-hander Norm Charlton came out of the bullpen for the bottom of that inning and threw 2 2/3 scoreless innings. Power righty Rob Dibble came in with two out in the eighth to bail Charlton out of a first-and-third jam and retire the side, and kept it scoreless through one out in the 10th. Lefty Randy Myers got Dibble out of a first-and-third jam by retiring the next two batters. Barry Larkin’s bases-loaded triple in the top of the 11th led to four runs and an 8-4 Reds triumph, and Myers finished it off to get the win. Thus was born “The Nasty Boys” — among the most effective collaborative late-inning bullpens in Major League history, if not the best. With that win, Piniella’s club proceeded to win Cincinnati’s last World Series title and did so in wire-to-wire fashion — the first National League club to do so. 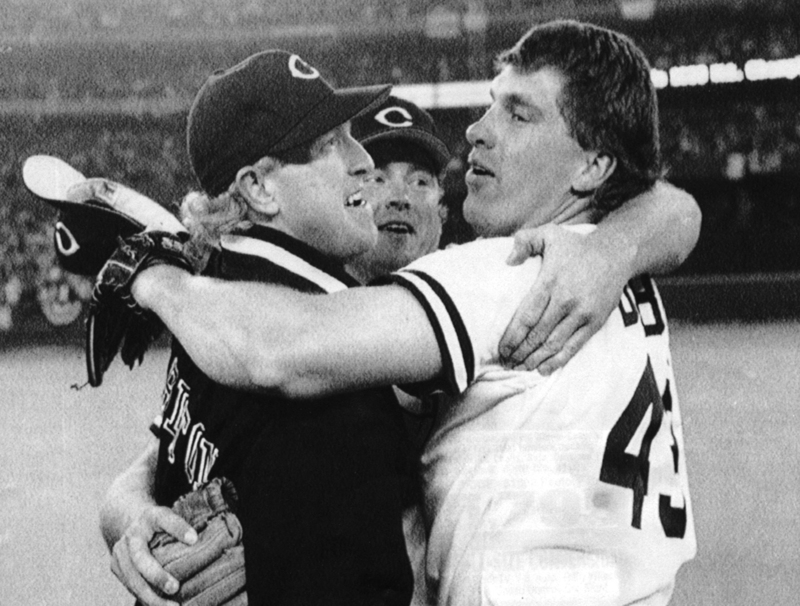 The same Randy Myers who won that decision and saved 31 games was the pitcher on the mound who threw the last pitch, getting Carney Lansford to foul out to Todd Benzinger as the Reds shocked the favored Oakland A’s in a sweep. Opening Day is about possibility, and in that case it was the epitome of starting something big in a season bookended by the ultimate celebration scene. Today we honor No. 28, but really the whole Nasty Boys bunch, including No. 37 Charlton and No. 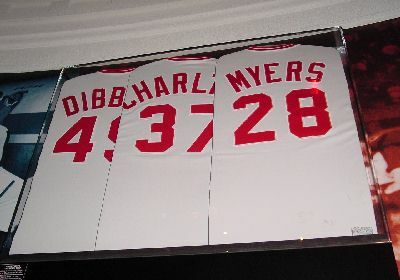 49 Dibble, a trio that was basically untouchable that postseason.